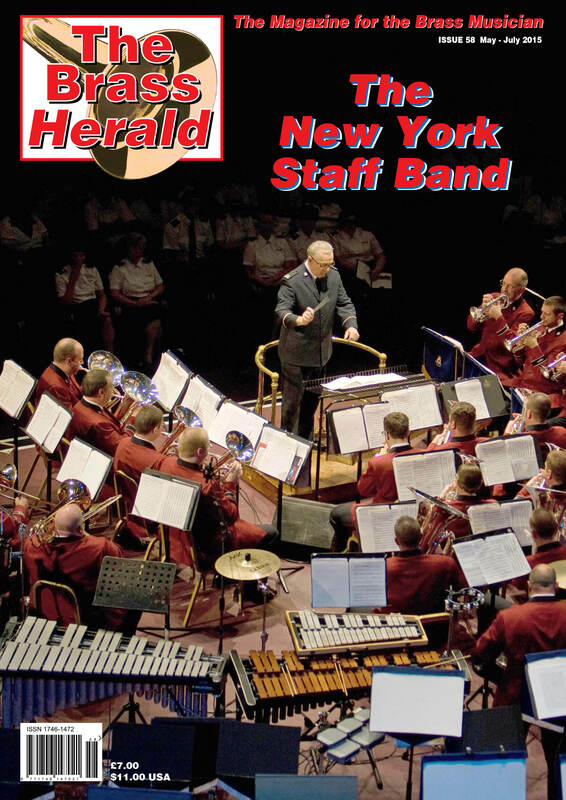 The second issue of The Brass Herald features star writers such as Ian Bousfield, Geoffrey Brand, David Childs, Rod Franks, Murray Grieg, Chris Houlding, Bramwell Tovey and Rob Wiffin. Click on subscribe at the top of this page to buy this issue and subscribe so you can have The Brass Herald delivered to your doorstep the day it is published. The lead article this issue written by Rebecca Agnew, former Deputy Editor of Classical Music magazine and features an interview with the Head of Brass at London’s Royal Academy of Music, James Watson. Ian Bousfield, Principal Trombone of the Vienna Philharmonic and a worldwide icon for his instrument, gives a fascinating insight into his musical life in the article ‘The View from Vienna’. Geoffrey Brand gives a highly informed insight into Eric Ball the Conductor. The Centre Story sees Joanna Pinnock of BBC Radio 4 and Television talking to three world class virtuoso Trombonists; Roger Harvey, Andrew Justice and Nick Hudson. Major David Marshall, formerly Director of Music of the Coldstream Guards’ Band gives an overview and history of The Household Cavalry bands.